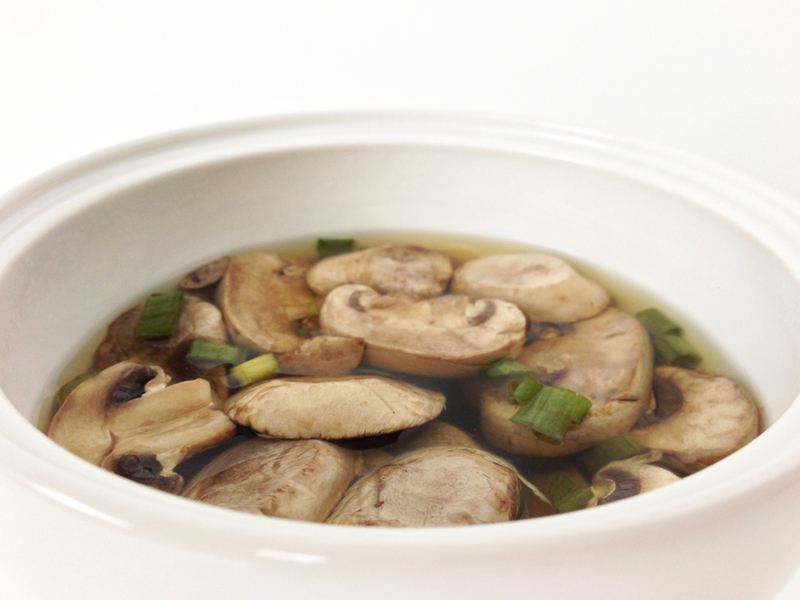 This soup couldn't be more simple and is a great addition to any asian style dinner. 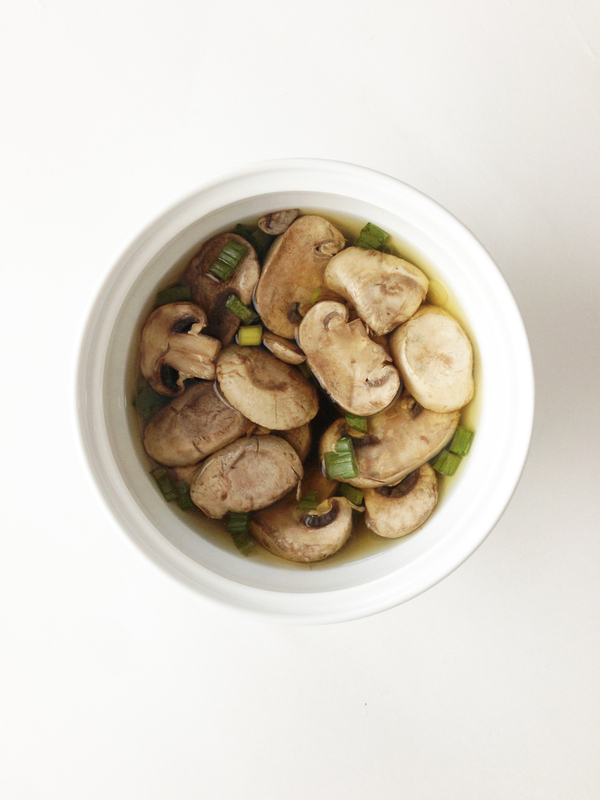 I had this broth simmering on my counter all day long, and the outcome was nothing short of fantastic. Even my toddler readily downed two bowls full! What can I say, the girl likes her fungi. She also scarfed on the cooked veggies that I removed from the crock pot, which was a shocker, even to me. In the past I've used the cooked veggies in veggies potstickers or even egg/spring rolls. 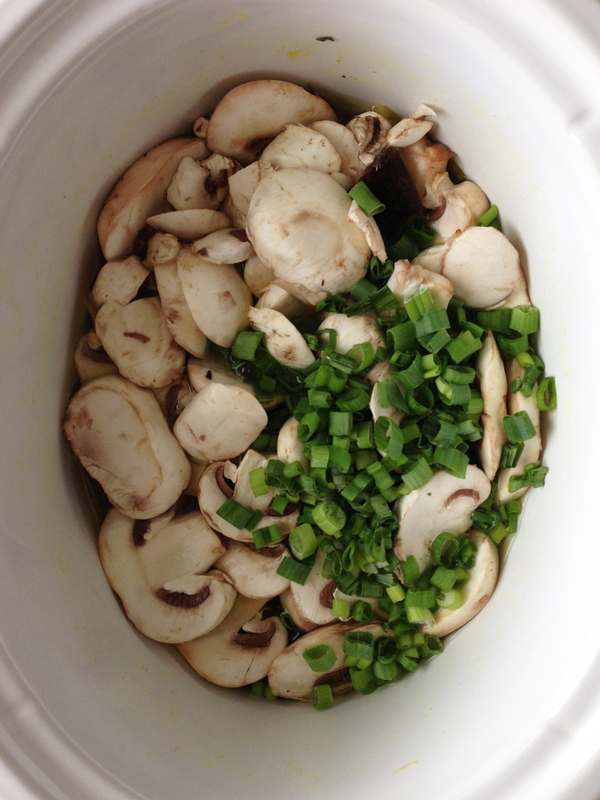 Place everything but the mushrooms and green onions into a slow cooker. I added in the bottom halves of the chopped green onions at this time as well and reserved the green upper halves for garnishing. Cover and cook on high for 2-4 hours or low for 4-5 hours. There isn't any reason to cut up the veggies because they are just there to cook in their flavors! 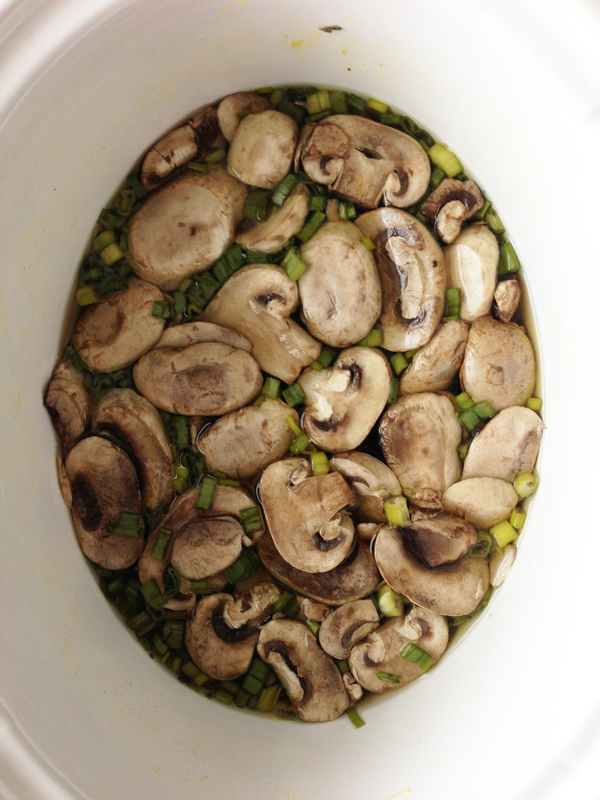 An hour before serving remove the cooked veggies from the crock pot with a slotted spoon. You can toss these, use them up in another yummy recipe, or serve them on the side. 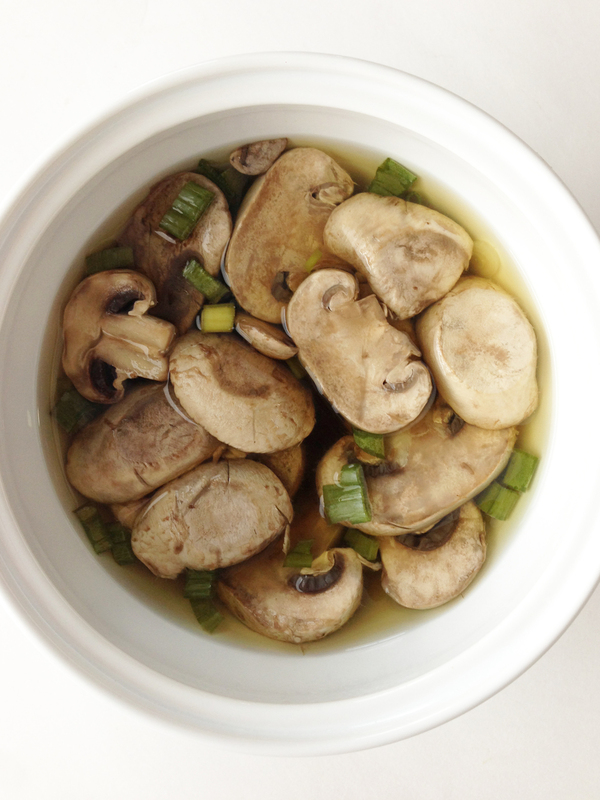 Place the sliced mushrooms into the crock pot with the broth. Give it all a good stir. 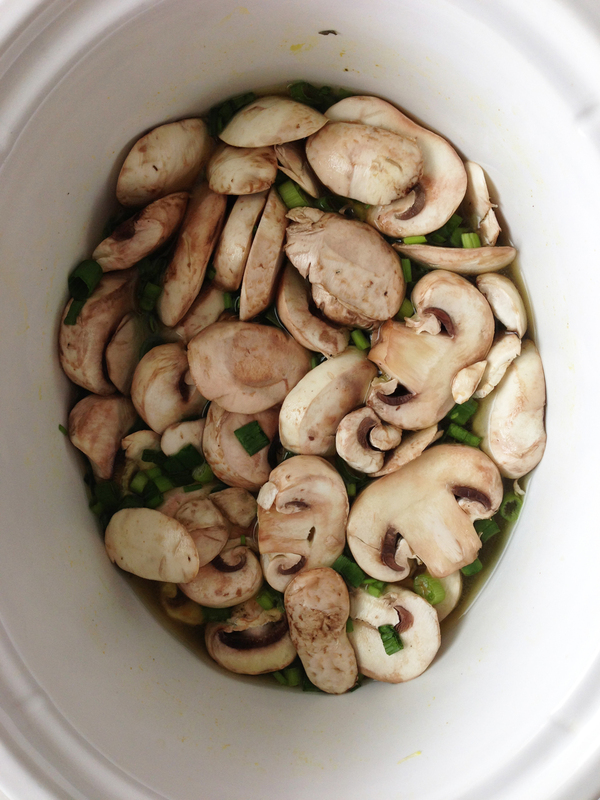 Cover to cook for another hour or until the mushrooms are tender. 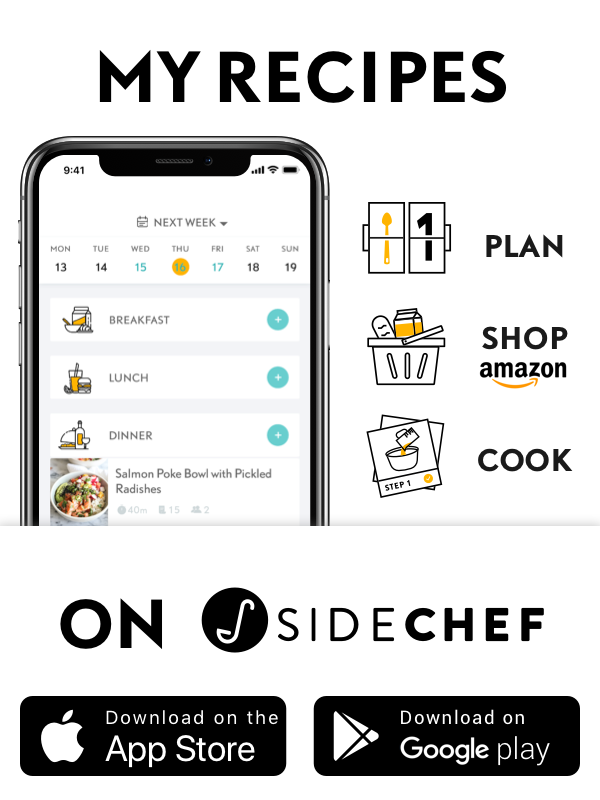 Divide among bowls and serve!